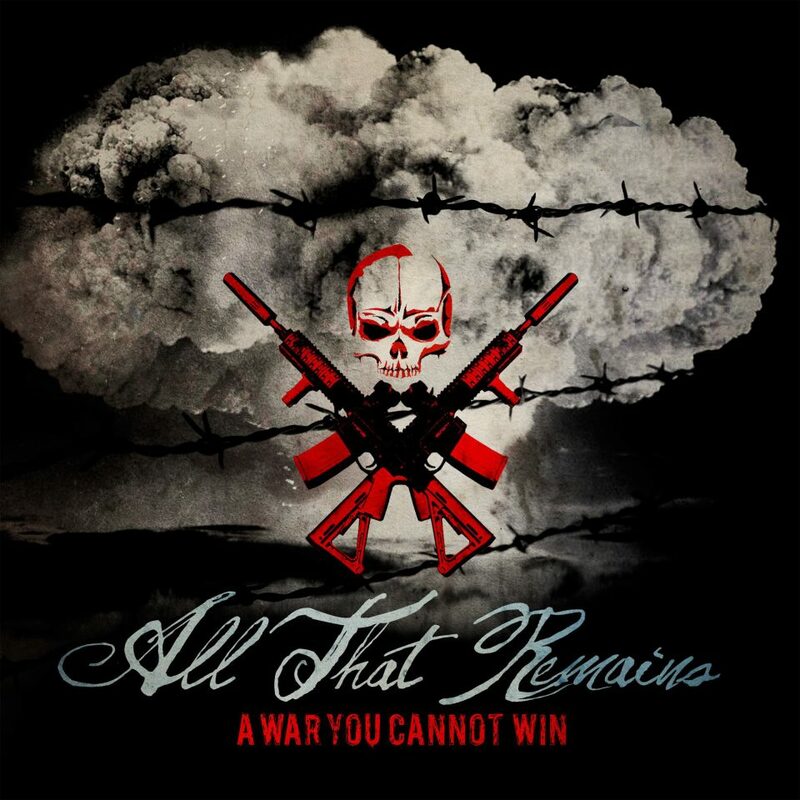 All That Remains (abbreviated ATR by many of its fans) is a band that, for as long as I have been listening to them, I have never been able to figure out exactly what direction they want to take their music in. As some reviewers have put it, ATR is a band without a niche, constantly changing their sound from album to album. Some listeners enjoy this and the break it provides from the cookie-cutter metalcore bands that abound today. Some listeners, myself included, are irritated by this musical ADHD, as each new albums brings a few fantastic elements that unfortunately are absent from the next. In my opinion, ATR has struggled to find their signature sound, which is a shame because their breakthrough 2006 album The Fall of Ideals was truly a gem, with solid songwriting and musicality. Their 2008 release, Overcome, would be considered a sophomore slump for many other bands, except it was their fourth album. Even still, there were many perfectly enjoyable tracks on Overcome which I still listen to today. And then there was 2010 and For We Are Many. Brad and I have discussed to quite some length, and we both agree that despite the huge improvements in gelling amongst the band members and what was unquestionably the best produced album they’ve released, we just couldn’t make ourselves like it. I had pre-ordered the album in anticipation, and after one or two listens I checked the column so that it would stop syncing to my Zune (and now my iPhone). Don’t get me wrong, I like ATR, and I’ve had the privilege to see them live on Mayhem Fest, but I was disappointed. With the opening track, the lead riff over the backing chordage is very reminiscent of really early ATR (a very Beyond Silence and Solitude or This Darkened Heart vibe), and once it launches into the unbelievably slick guitar work of the rest of the track, it seems hard not to believe that lead guitarist Oli Herbert has returned to his roots, sacrificing needless flourish for the purposes of reestablishing the Groove (an attribute that I always look for in good metal). Additionally, bassist Jeanne Sagan’s bass lines provide a strong foundation to build the feeling of a well-executed track. By far, though, the true gem of this album is the second half, beginning with “Intro”. “Just Moments of Time” is an example of the band working as best as it ever has, and then… Every good metal album needs an angsty power anthem, and “What if I Was Nothing” delivers. If any track can come close to toppling “This Calling”, this is it. The passion behind Phil Labonte’s vocals is evident, and it reminds me just why it is that I love him as a vocalist. Very few have mastered the ability to blend clean and shouted vocals seamlessly, but Labonte is far and away one of the best in the genre in this regard. “Sing for Liberty” just launches back into insanity, and as I write this review it’s nearly impossible to concentrate because it’s just too damn good—I can’t help but rock out. Finally, Brad will tell you that I’m a sucker for instrumentals, and “Calculating Loneliness” is the best ATR instrumental yet. Oli (and I’m assuming Mike Martin) have a great dichotomy going on with their guitar lines, and it all gels rather nicely. I could keep going on and on about how much I enjoy this album, but I think I’ve said more than enough for the purposes of this review. The honest truth is, All That Remains is finally back with what I could be comfortable calling their best album ever (or at the very least a tie with The Fall of Ideals). Whether you’re new to ATR or coming back after years of disappointment, check out the album. You can try all you want to find substantial flaws with it, but that might as well be A War You Cannot Win.